Do you have a bin full of old, broken, or obsolete electronics? Perhaps you have some old home appliances taking up space in your garage because you replaced them with top-of-the-line models. No matter what type of metal products you have taking up space in your home, our company is able to safely and properly recycle them at no cost to you. Rather than throwing away your old appliances and gadgets to take up space in a landfill, allow us to provide electronics recycling in Chula Vista, CA. We accept a wide variety of metals, including brass, copper, nickel, steel, titanium, and aluminum recycling. Plus, we pay you cash on the spot, so call us to have your old electronics picked up and enjoy free space and extra money. Riley Recycling is a full-service ferrous and nonferrous metal recycler and processor. Our facilities are open to contractors as well as the general public and are ready to serve your metal and electronics recycling needs. Reach out to our team to learn more. When you throw away metal parts, old electronics, or even broken home appliances, chances are they’ll end up taking up significant space in a local landfill, where they could eventually leech hazardous chemicals and heavy metals into the ground. Over time, these heavy metals and chemicals can reach groundwater reserves and contaminate drinking water, rivers, lakes, and oceans. Rather than let your old metal and electronics go to waste, allow us to repurpose them to create new items. This frees up space in landfills and prevents contamination by toxic chemicals while cutting costs for new electronics and appliances. Reach out to our team to learn more about metal and electronics recycling options. For your convenience, we will take your materials for metal and electronics recycling and remove any and all hazardous materials and chemicals. 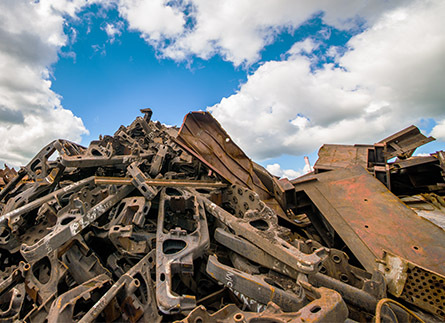 Our facility separates all materials into individual categories to prepare them for the foundry to be recycled and refined into new metal products, appliances, and other items. The entire process takes about 10 minutes, so you can expect to be in and out in a short amount of time. Contact us to learn more about electronics recycling. We serve customers in the Chula Vista, California, area. *All transactions are subject to scrap metal laws. We currently do not accept CAL CRV.